Colby says “I think this is my thing!”. 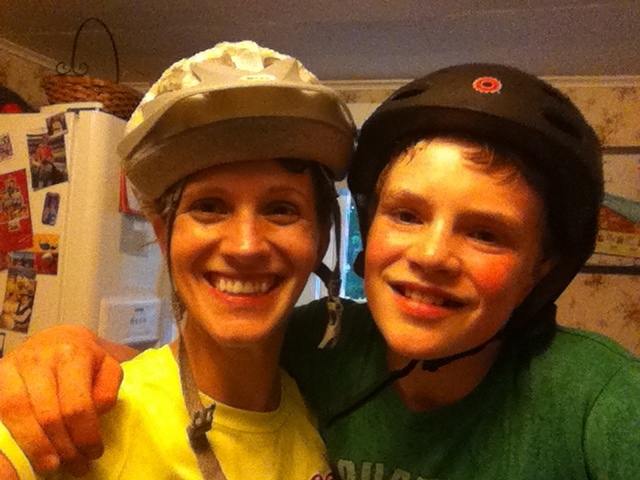 I introduced him to the trails tonight- 4 miles on the road and 3 on awesomely muddy trail! We finished just as it started to pour. Next Post Let summer begin! The new issue of Sparrow magazine is up and I’m a contributor! Anytime you, or he, wants to go, call me! I think it’s my thing too. I really hate running;-).